"All people of this world are entitled to basic health care and human dignity." In 2003, the Foundation for Worldwide Health (FWWH) was organized to improve the health and living conditions of poor, underserved communities. Healthy, thriving communities bring hope and dignity. For over ten years, our foundation has been improving the health of underserved communities as well as improving their health knowledge. 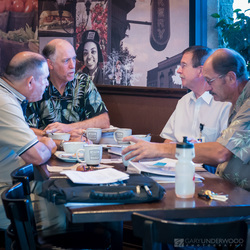 FWWH is an all-volunteer organization, which allows all of the contributions to the foundation to be directed toward carefully selected projects that promote our vision. 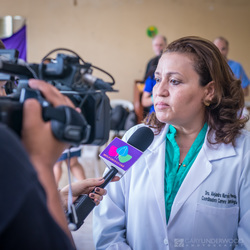 The Foundation provides direct healthcare services and community-based activities to improve health indices of desperately poor people in Southern California and Nicaragua. To bring hope, dignity, and stability to desperately poor communities, replacing illness with health, and premature death with life. Create sustainable, healthcare services in under-served communities that foster hope for a better future. Form strategic alliances with donors, national and international organizations, and the communities with projects that we sponsor. From our earliest activities, we have been providing clinical education and experiences to healthcare students. These healthcare activities have been conducted in collaboration with the healthcare faculty and students from Loma Linda University, Loma Linda, California. Once we began to collaborate with colleges and universities in other countries, similar opportunities were provided to their students and teachers. 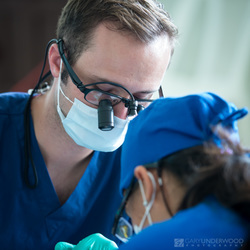 More recently, the Foundation is sponsoring continuing education for the dental professionals in Nicaragua. Our domestic efforts are centered in the greater Southern California region. Sending dental and medical delegations to work directly with populations that cannot afford fee-for-service health care. Training health professions students to care for persons in distressed situations and exposing them to the values and opportunities for growth in caring for those in need. Developing long-term and trusted partnerships with the communities we serve and our partner organizations. Involving the community in the journey toward healthy living that is self-reliant and sustainable. In summary, we help communities become self-sufficient. We do this by providing support and developing empowering alliances and partnerships with government agencies, universities, healthcare groups, and other non-governmental organizations.